If you checked the 3 Feet High and Rising Era Rarities post, then you already know the drill. Quick rundown: back in 2009, TROY blog poster Roy Johnson compiled a series of compilations collecting remixes, demos, and other assorted rarities from throughout De La Soul's catalog. Here, we have Volumes 1 and 2 of the De La Soul Is Dead Era Rarities compilations. While the first volume is comprised entirely of remixes for "Saturday" and "Keepin' The Faith," there are some gems among the bunch, including a UK 12" mix that clocks in at 7:20. Volume 2 ups the ante with four early demo recordings, the most intriguing and historic of which has got to be the "Scenario" demo featuring A Tribe Called Quest, Leaders of the New School and Black Sheep. 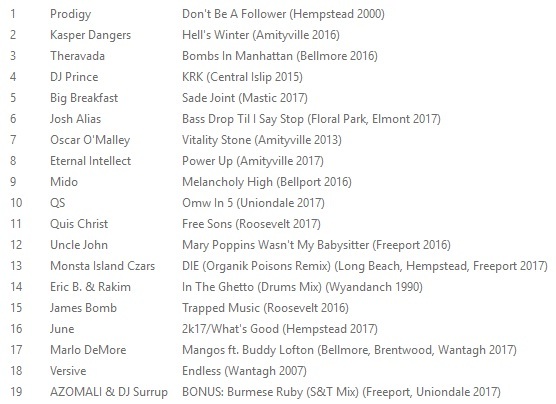 Preview the aforementioned songs below, then download DLSIDER Vol. 1 and Vol. 2. Please check links, both seem to be for vol. 2. Thanks! Thanks and sorry. Should be fixed now, enjoy!